Our standard pan/tilt/zoom camera, available with a number of options. 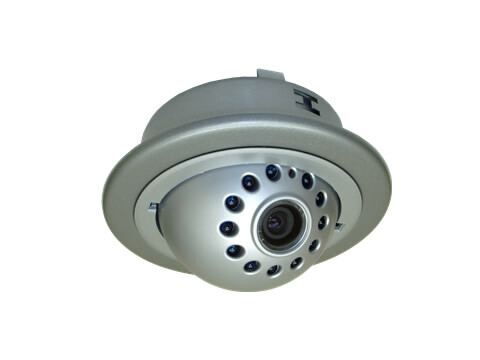 This indoor infrared sensitive dome camera has a 1/4-inch color CCD sensor and an array of 12 infrared LEDs mounted in a ring around the lens that allow it to capture images in total darkness up to a distance of 10 meters (32.8 feet). IR function is triggered automatically in low light conditions, turns off under normal light. Manual aim. "Surface mount" design for easy installation on almost any flat surface.